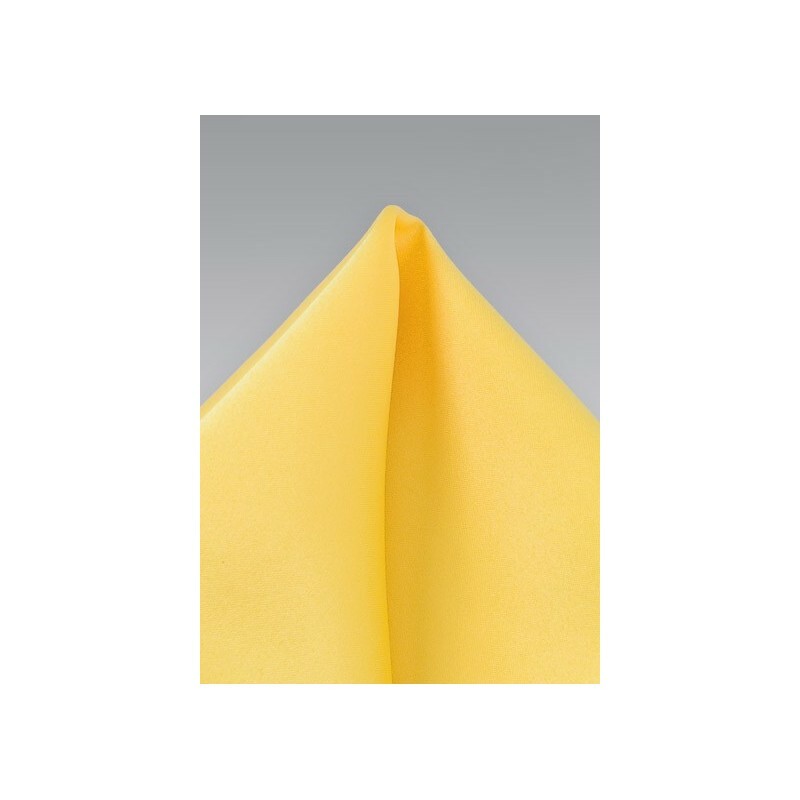 This bright yellow pocket square will add some dash of color to your suit and tie look. Regardless of the fold you choose, it will add elegance and sophistication anytime you decide to wear a suit, blazer, or sports coat. To match this pocket square we suggest navy, gray, or charcoal jackets. The classic suit color and bright accent of the pocket square will guaranteed get you plenty of compliments. 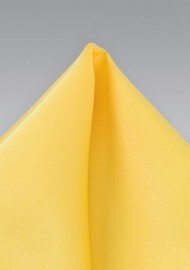 One of our favorite ties for this yellow pocket square is the following:Yellow and Light Blue Tie. In addition we also carry an exact matching solid yellow tie by Puccini. Made from care-free microfiber.